If you have embarked on a cruise chances are you have gotten off the ship and trounced around in those beautiful ports of call. My bet would be, that you have paid out big to go see some of the great sites that each of the countries or Islands offer. Large bills don’t always make a better experience, rather they end up being large incoming bills when you get home(lol). Did you know there are other ways to see the islands and countries you will be stopping at when cruising? This is where the novice cruiser goes awry and the tenured cruisers excel. Cruise ships firmly deter passengers against signing up for those local tour operators, and in some cases I agree, but if you start reading many different blogs, many different certified traveling websites, what you find is that there is a whole back door to cruising and touring those islands and countries. 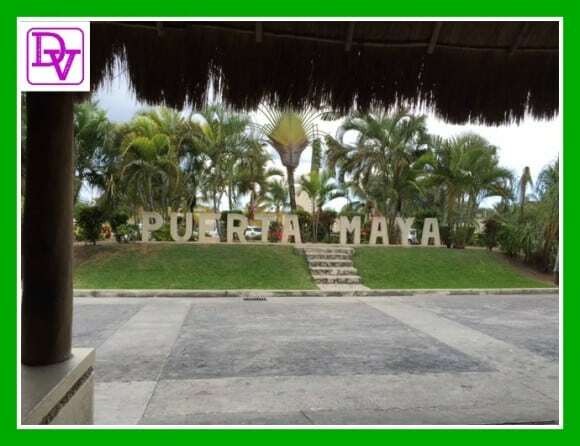 Lavishly live tourism with Tours Plaza In Cozumel and see how to really take an adventure. When you have small groups or large groups it is fun to to tour together but sometimes you want to get a little more detail about the area you are in or maybe you want to find those great local places. The large gatherings of people from your ship, or from two of the same cruise ships that are in port that day, do not necessarily allow you this luxury, as the intimacy is lost when you are with 100+ others. I’m all about the lavish life, living life out loud, traveling around the world and enjoying all the scenery, culture, food, and beverages that each of the islands and countries, states offer. The luxury of stepping foot into a different land is something that may never be repeated so we want to experience it to its fullest potential but you surely don’t need to pay double the amount for the experience. This is my luxurious discussion of having fun in Cozumel, with Tours Plaza, a reliable, safe, bilingual private tour company that is not associated with the ships, but is associated with all the ‘must-do’s’ when in Cozumel, Mexico. Well, we did it, we were off the ship and we had already been in contact(Eduardo) with Tours Plaza, long before we arrived. We had our directions as to how to find Gerry in the Taxi Line, who would then place us with our driver Marco. We researched, read other travel sites, and we read their ratings on Trip Advisor, because we wanted to make certain that they were a reliable company. We had sought out a a reliable, well written about private group, one that many others had tried. Please note, we did not just get off the ship and find a taxi, we researched online, and decided who we wanted to go touring with. We validated their command of tourism on other’s websites(travel sites) and suddenly we had opened up the back door to visiting Cozumel without paying those outlandish Cruise Ship prices for tours that offered beyond what was available on the ship! The life of luxury does not have to cost a fortune to enjoy! My initial contact with Tours Plaza was met with an expedient response, which was my first indication of how wonderful things were going to go. I am all about response time, if there is a lag and more than 24 hours, I walk away. Eduardo was my point of contact and he explained a bit more about hiring a driver and inquired where all we wanted to go. That’s it, things were all set up, emails were sent with instructions and we just showed up! Our first port of call was Cozumel and I needed to make sure that all happy faces would return to the ship after a day in port. We were traveling with our family, and my father-in-law which in our case translated to no scuba, no wild beach adventures, but left room for culture, and sight-seeing. We wanted family time, a way to be together, and yet a bit of fun to keep every genre in our family happy. We were with a child, a tween and a teen as well as a senior, so the span lent itself well to island sightseeing and taking in a bit of the culture and history. 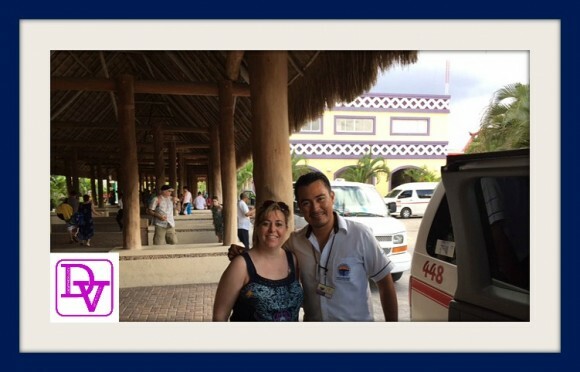 Our solution to lavishly living Cozumel out loud was hiring a personal driver for the day with Tours Plaza. What better way to see Cozumel than via a Large Van, and a bilingual driver(though my father-in-law and I can speak fluently!) who could navigate us through this new land we were visiting. We wanted to visit the Tequila Factory, The Mayan Village, The Chocolate Factory and of course the beach, so our itinerary was jam-packed and yet we still needed some shopping time, but don’t worry, we had plenty of time to do everything because our Driver MARCO truly was steadfast in providing an all-encompassing tour that made it all work! Tours Plaza – How Does It Work? Eduardo told us to find Gerry in his yellow hat at the taxi line. Get off of your ship, walk through the duty-free shop, walk into the main piazzetta and head towards all the Taxi’s but don’t stop and don’t shop in this area…. Have your drive take you to the shopping area, prices drop about 30% or more as soon as you leave the port. Seek out your Yellow Cap(see photo above) and get ready for an awesome, personalized adventure, we did. Eduardo had told us to look for Jerry who would have a yellow hat on and be looking for us while in the taxi line. We actually had much more specific directions but I don’t need to go and all of those just know that the yellow hat and Jerry were waiting for us in the taxi line! Gerry introduced us to our driver Marco. Marco our guide was bilingual and he was very informative so even though I am quite fluent in Spanish, the rest were not and this was very much appreciated. He would be our translator as we would travel, explaining everything and never leaving a single detail out, trust me, I listened to everything. 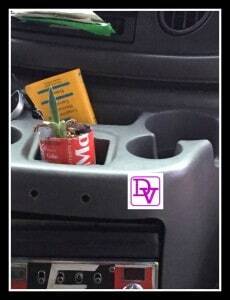 I also found it so curious to see this type of plant growing in the van and it was maintained and stayed in the van. Marco had everything he needed to support our day and our time there, from Charts, to photos, and a Mayan Calendar, which offered us info on the land, the culture and the people. This is a very efficient, organized Private Tour, and they guides have everything they need for a day of adventure, no matter where you go! Marco, reaffirmed our travel plans just in case we wanted to change anything, he budgeted our time, and he offered us a few additions, starting off a great tour and enhancing it! Marco also double-checked what time we had to be back at the port(SHIP TIME, not Island Time). Marco spoke in English the entire time so that everyone in my family could understand. I know I keep explaining this, but so may people I speak with are fearful of taking that chance on anything that is not ship organized, but this is so organized that I can’t stress it enough and you don’t have to worry about not being able to speak the language, they handle it for you, however, this company is the exception to the rule, because others are not bilingual, again, Tours Plaza is where you need to Google to! 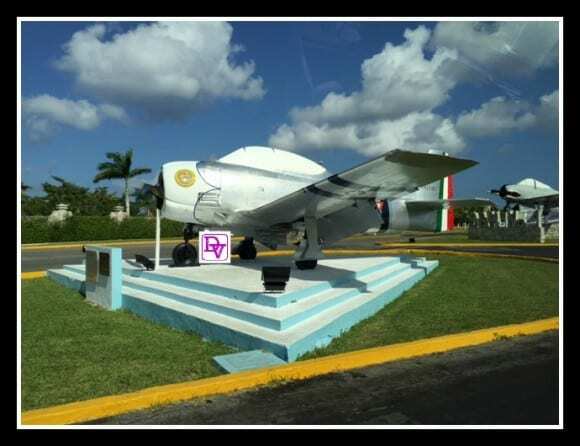 We went for a a quick ride from port, up and down the main stretch of highway(Av General Rafael E Melgar) we made our first stop and learned Cozumel’s role in WWII which is often not discussed in the US. This plane was part of the Aztec Eagles of WWII. 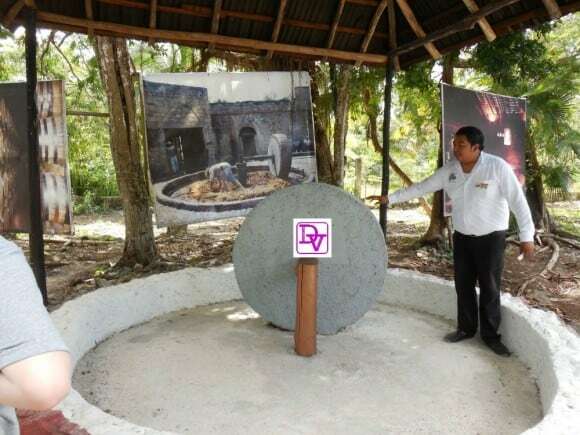 A little further down the road, Marco,stopped and let us indulge in a bit of Mayan/Mexican history with this Monument. Gonzalo Guerrero who was accredited with both being the hero and the reason for them mix of culture in Cozumel. A Mestizo is a mix of those that are of Spaniard descent and those that are considered Amerindian. This is located also on the main road, which is Av General Rafael Melgar- just in case you want to know and we were not far from the ship at this point, just a short ride away. Every time we got out of the van Marco went out ahead of us, opened the door, and placed a step-stool down, and then helped us out. That was without exception and it was for everyone in the van not just myself. Marco spoke with my children, he spoke with us, and we all were interactive the entire time. If we had questions we felt certain in his ability to answer and he surely answered every question we had. The atmosphere was always comfortable and you get that he is very country proud as well as happy to speak with you, you never feel like you are bothering him when you ask a question. The energy level Marco had was continuous from the moment we met until the moment he dropped us off and we appreciated his knowledge of the culture as well as Cozumel. I think it is important to note that no one ever felt awkward or odd when interacting and my teen daughter came out of her shell and asked questions which is as you all know a huge deal when teens actually feel comfortable enough to ask and interact! It was all possible because the Tours Plaza staff is friendly and interactive, you are not treated like a tourist! We stopped at the Chocolate Factory(You can read about this separately on my blog). 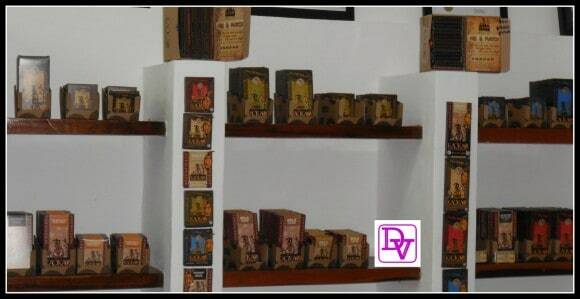 This was a fun tour that let us see how chocolate was made, a very Mom and Pop setup that is doing exceedingly well! We spent time at the Mexico Lindo Tequila Tasting facility, and I will share this story with you in a separate post as well! A Mayan Village learning about homemade tortillas, Agave fibers, and culture. On the end part of our tour we visited the Beach with Marco, which is nothing short of amazing. Here there was a souvenir shop, as well as coconut water(drank right from the coconut)and the coolest breakers that you can walk on, you have to see it! While we were driving we learned about what others do when they hire their Private Drivers with Tours Plaza. 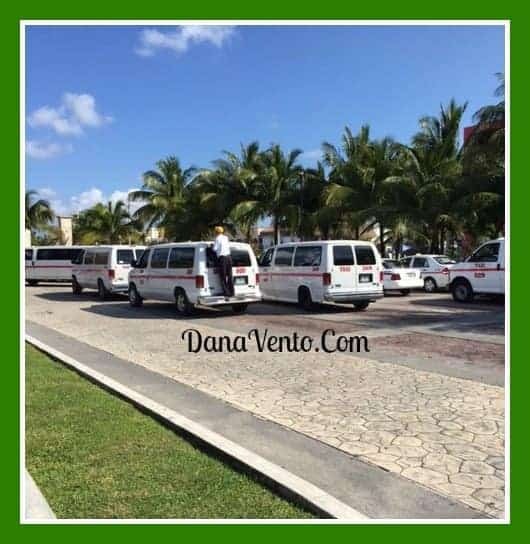 We heard that there are some that have hired Tours Plaza to bar hop around Cozumel, others have dined all over the Cozumel, yet other parties have been taken from shop to shop, we all have our different wants and Tours Plaza seems to meet them all! Trust me, if you love to shop let your driver know because they can stop you at the greatest stores with the best prices. This is what is nice about a private tour you are not stuck in the local market where the prices are marked up. Rather you get to shop and find things you want at good prices or should I say better prices because your drivers are the insiders. Large ship tours are just that LARGE from their price tags to their numbers that join in on the tour. With Tours Plaza you won’t be where ‘everyone else is’ and you will get the inside scoop from beaches to sightseeing. Of course, if you want to go where the ship is going, that particular tour, but in a smaller environment, Tours Plaza can accommodate. Your tour will be more focused, more personal and you will get so much more out of your personal time. Tours Plaza cost is a steal, compared to those pricey ship tours. Some of the cruise ship tours were ranging in cost from $70 -$125 a person and you weren’t getting much in return other than being dropped off or put together in a large group, where you may not see everything you want to see. Tours Plaza offers vans for groups of 6-9 and it’s just about $200 for the first three hours and then every the hour thereafter is just $40 and this is by the vehicle not by the person! That is less than $23 a person(based on 9 person occupancy) and you’re going to see things up close and personal while hearing about everything, rather than just being there. Are there other charges while you are with Tours Plaza? Sometimes there are, such as the Chocolate Factory Tour costs $10 per person, for a one hour tour, however, if you just want to hear about the beans, or walk around, there is no charge. The Lindo Tequila Factory had no charges, but offered great value, as the Mayan Village is there as well as Tequila Tasting. We did purchase a bottle, but it was all wrapped for the ship and our flights, so it was super easy to pack! 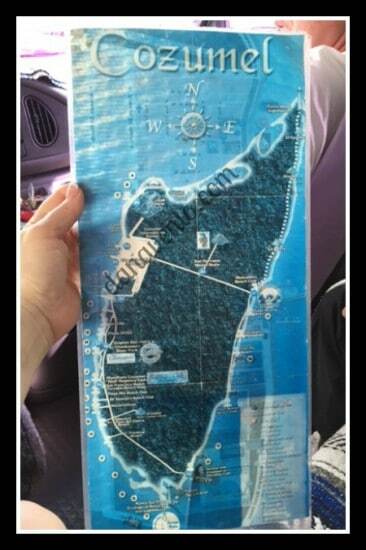 Tips are needed at all of these places, remember the locals are working and entertaining and educating you, so plan to have plenty of 1’s with you. I can strongly suggest that you tip your driver at the end because from what we saw they go above and beyond the basic service. Marco discussed, describe, and demonstrated things along the way when we were in the middle of our tours. Your drive is your liaison between the country and you, and this is how they are making their living. What amount you choose to tip is your choice, but I would definitely advise this gratuity. You many note I have not said anything about safety, because at no time did we ever question our safety or environment while we were being escorted around Cozumel. 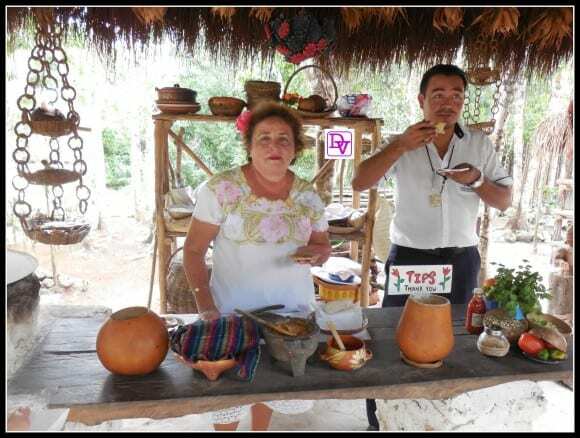 We met some of the nicest people ever, enjoyed their offerings, tasted food we enjoyed from authentic tortillas to amazing chocolate beans. The ambiance is laid-back and you are never at a disadvantage even if you don’t speak the language. Hiring a Private Drive Tour with Tours Plaza was hands-down the best thing we have ever done not only from a financial standpoint but from a multi generational family standpoint. In addition the service, safety, and the things places we went were not the standard, they were beyond and offered us a better tour that what you can purchase on ships. They can speak the language(if you can’t) and they are precise about where you are going and what expectations you should have for schedule and venue. Don’t just jump off the ship and hire a driver from any company. This is where sense and sensibility must kick in and you should have done your research before you get off the ship. 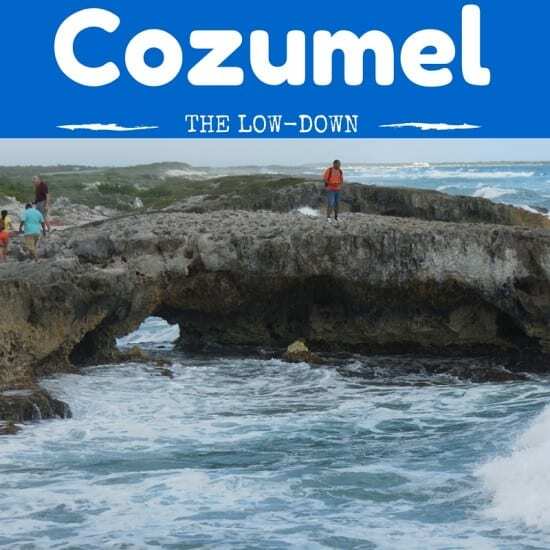 We had our tour scheduled with Tours Plaza and we had read all about the wonderful results of others and many others on many ships inbound to Cozumel so we were sure we were making the right decision ahead of time. You will Love Tours Plaza. Tours Plaza deserves kudos for being awesome at their jobs, friendly, both English and Spanish speaking and hitting the mark on culture, history, dining and shopping. IN addition, the bonus with Tours Plaza, is your personal driver will not rush you at a location if you want to spend more time at one place and less at another, they are just easy to work with! We toured with a reputable private tour company who showed us around their country. Tours Plaza knows Cozumel backwards, forwards, side street, backstreet, and upside down for those that really want to see and do Cozumel. These are my opinions of details that occurred while we were vacationing, and this is what we experienced. 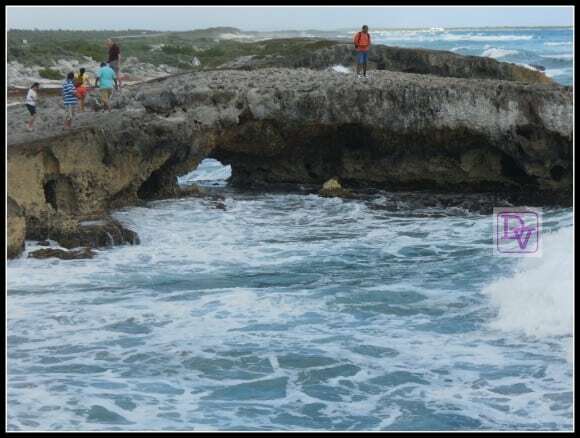 Lavishly live travel, touring with a private driver and have a bunch of fun on Cozumel with Tours Plaza. Hola dana!!! Im marco and i was your driver,thanks so much for your COMMENTS!! !nobody has made good COMMENTS about me this way as you thanks again DANA.just im a humble driver that is proud of his roots.thanks AMIGA and take care and im hope see you again!!!! !GOOD LUCK!!! !